Nuvo Lighting has a variety of lighting fixtures that range from using LED lights, incandescent bulbs, and fluorescent bulbs! Not only does Nuvo aim to create evolving lighting fixtures that are virtually made to compliment any and every interior living space, but their striking designs offer a broad range of lighting systems and use advanced technologies to help reduce energy costs! What do I need to know about Nuvo Lighting? Nuvo Lighting was founded in 1966 and is a sister company of Satco, who is the premier supplier of lighting fixtures including light bulbs, electrical accessories, lighting hardware, and lighting glassware. The company is family owned and operated and uses 1.2 million square feet for their warehouse, distributed, and sales locations. Some of these locations include New York, Miami, Dallas, San Francisco, Seattle, and San Juan. Nuvo was officially launched from Satco on June 23, 2005 and featured 1,500 new items added to their collection! “Nuvo is a name that will become synonymous with lighting,” and they have tried to reach this goal by providing lighting tips on their website, providing multiple different types of lighting fixtures and designs, and partnering with Energy Star! Energy Star certifications help you save money when purchasing light bulbs, mostly LED bulbs, and they also are certified to save the environment by using less energy! Which lighting fixture should I use? 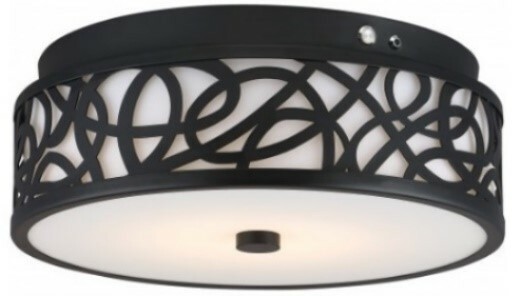 Track lights provide versatile lighting options while offering distinctive designs to add flair to a room. Nuvo's track lighting allow for 350° horizontal and 90° vertical adjustment, making them suitable for designer friendly applications in classic and contemporary styles. LED track lighting is often used in locations such as kitchens, living rooms, restaurants, hospitality, and more residential and commercial locations. Nuvo LED Step Lights help you create the perfect accent lighting while lighting your steps and keeping you safe! Nuvo Lighting has a variety of designs, ranging from vertical to horizontal step lights, helping to light your path and create the perfect stair lights when attempting to see at night. The LED stair lights create an approachable contemporary design and LED step lights have advanced technology to help you save on energy costs while still looking aesthetically pleasing in any room. When choosing a lighting fixture to style a room, Nuvo has a variety of different flush mount LED fixtures with distinctive designs that are made to virtually compliment any interior living space. Nuvo’s variety of flush mount lighting is constructed with the finest materials and are held to the highest standards to stand out. Find the most complementary flush mount ceiling light styles anywhere from a classic to a contemporary design that will look perfect in your kitchen, living room, bedroom, or any other residential or commercial location! 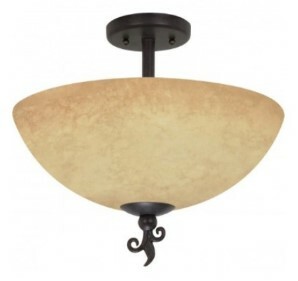 When looking for LED decorative lights, a semi flush mount fixture will help complement any room of your choosing. Nuvo Lighting has a variety of different types of semi flush mount lights in multiple finishes that help accentuate your style! Nuvo constructs their lighting fixtures with the finest materials, ranging from classic to contemporary designs. LED semi flush mount lights create an inviting look for spaces such as living rooms, bedrooms, bathrooms, and kitchens! Nuvo Lighting’s decorative collections are filled with new lighting fixtures that offer broad ranges of lighting systems to add structure to different locations. Each decorative collection is styled differently, including classic to contemporary designs, and offer a variety of bulb types including LED bulbs, incandescent bulbs, and fluorescent bulbs. 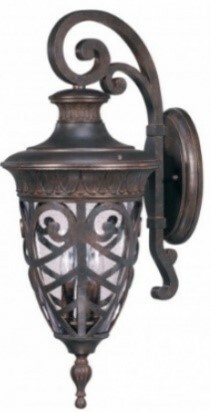 These LED decorative lights and collections contain lighting fixtures such as chandeliers, pendant lights, flush mounts, semi flush mounts, outdoor lights, and indoor lights! 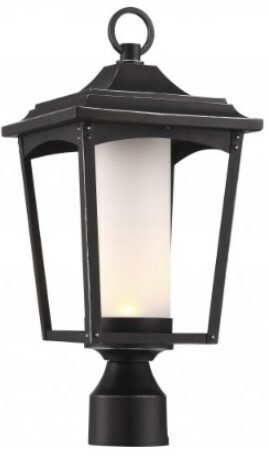 The Nuvo outdoor lights selection has multiple different lighting fixtures including area lights, outdoor landscape lighting, outdoor ceiling lights, outdoor wall lights, post lights, security flood lights, and wall packs. The distinctive designs for outdoor LED lighting and advanced technologies will help you make an easy decision for your next lighting adventure. Nuvo Lighting has evolving lighting fixtures that range from classic to contemporary designs. All Nuvo fixtures are made to virtually complement any living interior; especially in bathrooms! There are also a selection of lighting fixtures with varying amounts of lights on the fixture so that you can enhance or reduce lighting above your vanity. Nuvo Lighting provides a variety of LED Flat Panel lights for many different locations. LED flat panels are often used in areas such as offices, schools, hospitality, healthcare, and other commercial and industrial locations. 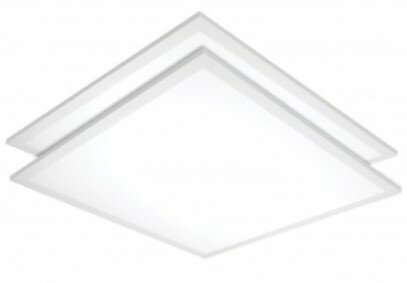 A LED panel is useful for spreading light and are great replacements for old fluorescent fixtures to provide a brighter light while using a lower amount of energy. Also, some of the LED flat panels come with a battery backup, in case of an emergency, which can be very helpful! There are different sizes of LED flat panels including 1X4, 2X2, and 2X4. 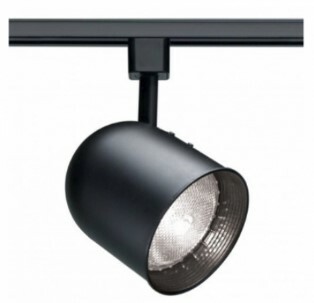 Nuvo lighting had a variety of LED troffers that are good for places like schools, offices, hospitality, healthcare, and other commercial locations. 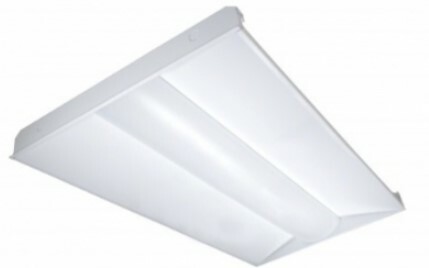 A LED troffer can be installed easily into t-grid ceilings and are perfect replacements for fluorescent lights and fixtures. 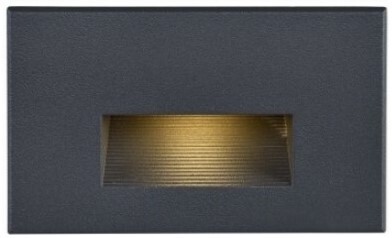 Nuvo lighting's goal is to offer a broad range of lighting systems and their troffer lights are just the start! You can also choose from an array of different sizes including a 1X4 troffer, 2X2 troffer, or 2X4 troffer. Which Nuvo lighting fixture would you use? Do you have a favorite Nuvo collection? Let us know in the comments, and connect with us on Facebook and Twitter!